Help him dress for the occasion with clever Valentine's Day Boxers! Choose a cheeky message, add your name and you've got a Valen-tastic pair of boxer shorts he'll love to wear. 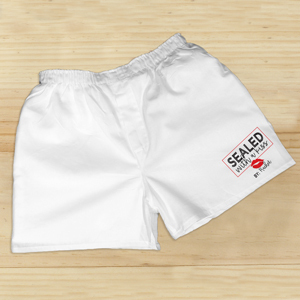 Men's Valentines Day boxers are a classic gift to share with a special guy you love.